As always I must start with a massive thank you to all our lovely angel clients, your kindness and generosity so evident by our bulging Christmas tree, beautiful Christmas cards sparkling everywhere and tons of food, goodies, chocolates, you name it we ate it! It's a brand new year, and it is the season of high rates of optimism starting with Christmas, a break, a season of giving love and celebration,afollowing on closely with millions of people around the world welcoming parties, fireworks and that ever important feeling, OPTIMISM ....A brand new year 2017 ..... A great opportunity for us all to grow and develop and work at making life better for ourselves and others, and there is so much out there to teach us, help and inspire us... I shall list some interesting titles you may like to explore... 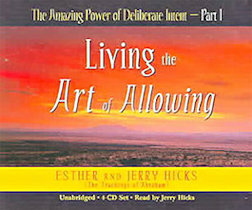 Developing a great connection with the non physical or invisible parts of what makes us who we are, and it's an amazing way to experience our own lives with a stronger sense of peace and balance achieving better health and life opportunities and understanding our own law of attraction something we can control and guide to improve and benefit our own, and the lives of those we love. Suffice to say that as my pretirement has started on a countdown to change my life, I recognise for myself that life may not be full of joy every moment but the moments of joy give my life its flavour, colour and meaning. To this day I have not found anything that compares with the fantastic feeling I get from being of service and making a difference to those I meet and can share something special. It is I that is blessed to be with all those around me and I thank you so very much. I would like to express my sincerest gratitude for how you have improved my wellbeing! I am immensely pleased with my new hair and my new look! It has greatly changed my appearance – obviously, for the better! The compliments I’m receiving are outstanding – most saying I look 10 years younger, some say even 20 years! (I hate to think how old I looked before, but I’ve just turned 50, so this was a sort of birthday present to myself!!) Most people I know have walked past me without even recognising me. I greeted one person with a hug and kiss, and they really had no idea who I was until I had to say “It’s Me! !” So, I’m taking all this as a positive although it’s obviously a dramatic change. I’m getting used to having hair – will be at my first adjustment appointment today, but it’s generally a lot easier to manage than before when I struggled with the “Mane’’ hairspray, which left my bathroom covered in a horrible brown film, not to mention my ears and neck, which I had to wash afterwards every morning… even my scalp Psoriasis has improved! 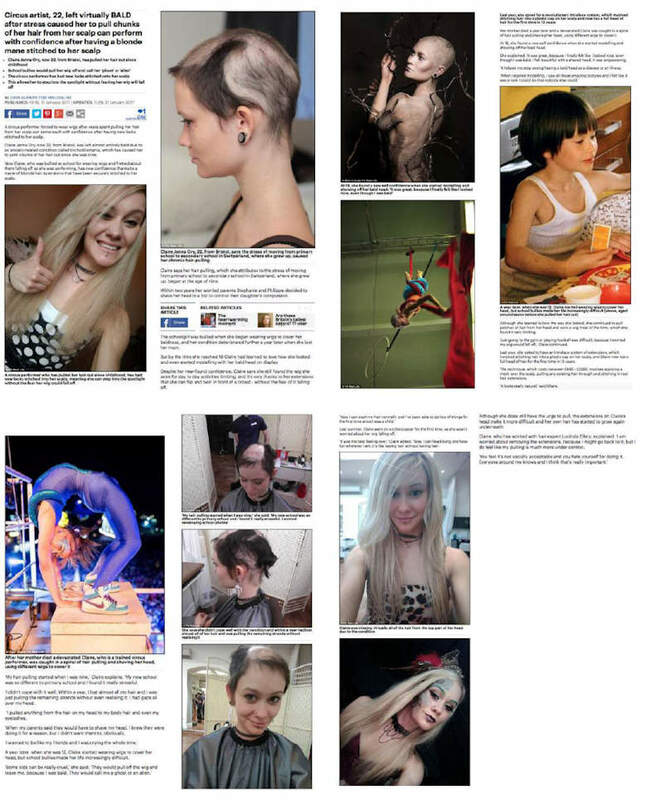 I started losing my hair from age 15, very soon after having my four molar teeth removed under general anaesthetic in hospital, and it’s got steadily worse over the years. I’d tried various things over the initial years, eventually settling on covering up my problem with the “Mane’’ thickening hairspray, as mentioned. After discovering your consultancy, I finally decided to take the plunge after 3 consultation appointments over a period of about 8 years! 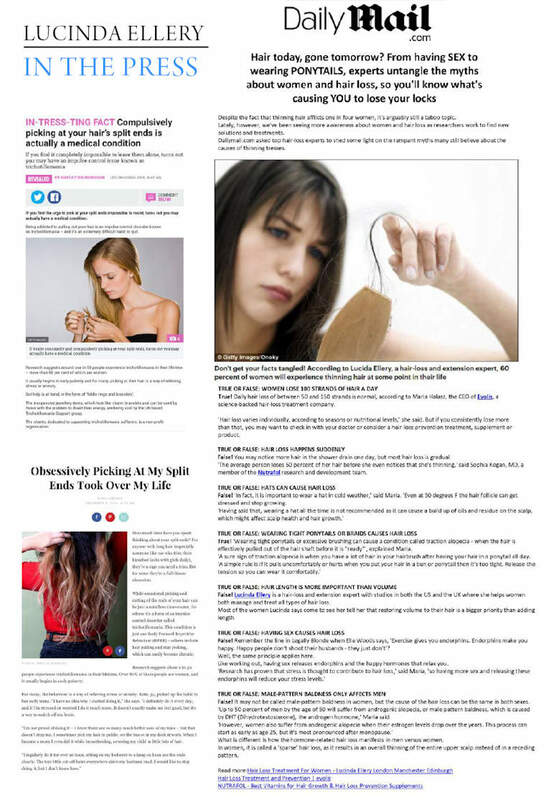 I would say your personality, Lucinda, coupled with the fact that you yourself are a sufferer of hair loss, has a major role to play in customer confidence in your product. I didn’t spend too much time thinking about my first appointment until the night before, when I became extremely nervous. 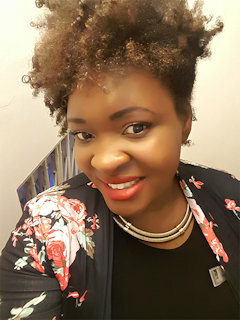 I decided I couldn’t brave the tube with freshly-washed hair – I had NEVER ventured outside the door without my full “mane’’ cover-up – so, I splashed out on a taxi, in my woolly hat. I became quite scared and emotional during my taxi ride – crying most of the way! God knows what the taxi driver thought! Anyway – I needn’t have worried. I met one of your lovely clients in the waiting area, and she soon put me at ease, telling me about her experience. I was amazed at how everybody’s hair looked so natural – you really couldn’t guess! I also love the fact you include a “first wash’’ appointment and an essential goody bag! May I say, that nothing was too much trouble for your lovely staff! Lucinda - you are an extremely wonderful person! I and many others are indebted to you for your patience, perseverance and passion in achieving such a high quality product and service, and sharing it for the benefit of your clients. And I know you continuously work to improve it. I feel lucky to have found you and met you, and can only wish you and your great team all the very best!I no longer fear having my photo taken or going out and getting dressed up. I have a luscious head of hair which is my joy. But most of all, I have my confidence back, and I can’t tell you how good it feels to love what’s in the mirror. Yes – this is entirely possible, in fact if I was a fancy online blogger I’d be calling this a life hack, so my ten-year-old son keeps telling me! Here’s what happened. I was working with a client recently and about half an hour into our conversation I was listening to get a better understanding of the big things going on in her life. We eventually came to a point in the conversation where I asked her permission to share my understanding of what she’d so thoughtfully been talking about and from this summary three words emerged (one of which was hair). I then asked whether these words were true for her in terms of how she might like to take them on as themes to work with in relation to her life and work. ‘Absolutely’ came the reply. I then asked her to write down (we used coloured post-it notes) to think about some more words or very short phrases (four to five words) to give each of her themes more meaning. And so, by adding more post-its under each of her theme words, a lovely collection of other words emerged (about 11 or 12 in total) all of which had their place beneath each theme. Imagine here three columns of varying length. She then sat for a while and looked at everything she’d jotted down. I then asked her to introduce each word to help her become more clear about the context and origin of each. This enabled her to bring the words to life and to see what connections, if any, she could make between them and then reflect upon how they play out in her life now. This became the heart of the session because she was now completely immersed in the moment thinking and talking. The more she thought, the more she could talk, moving from word to word beginning to make connections with each theme. Some words overlapped in more than one life area, and some did not. Some words were dependent on other words (in terms of action) and some were not, i.e., if I can bring more focus, then my awareness will increase (focus and awareness were two of them). Some were strengths, others were not. Interestingly some were overdone strengths, for example, she identified that she uses her time very effectively at work and, as a high achiever, this brings its own rewards, however, that same strength when overdone had the effect of sabotaging the lack of respect she gives to her personal time and this is an area she wants to work on. In each case, every word held meaning and every word has a place in her life at present. Most important of all, she became very clear about what she could begin to work on and when. She found herself questioning aloud why some things are as they are, and she realised that her curiosity about how well she knows herself would come into its own – warts and all (curiosity was also on the list) As a client that is a very good thing; I say it’s far better to work with every last bit of our fabulous selves rather than with a watered- down version as the personal rewards will be much greater in the long run. And so, there you have it. A life plan that can be updated as and when each word or theme has served its time, bearing in mind that some words will stay with you and some will go. But the beauty of it is it’s simple and you can keep the words close to you, perhaps in a special place at home where you do your make-up or hair, or where you chill or watch tv. 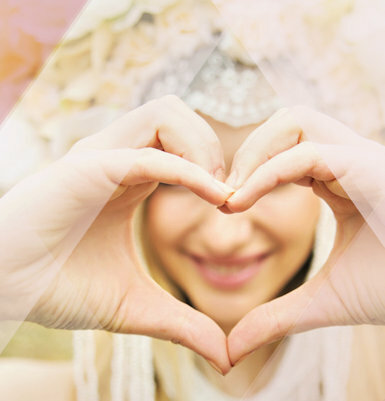 This together with the right support can help you bring (or let go of) whatever it is you need in your life, tailored to a time scale which serves your plan’s purpose. If you think your life could do with something similar, I’d love to hear from you. 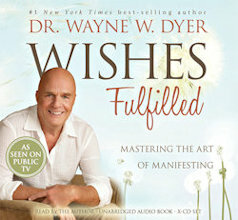 These are by notable writer and public speaker in all things uplifting and guiding, Dr Wayne Dyer. 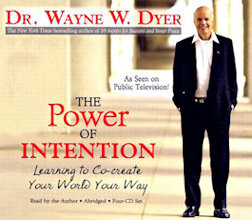 Dr Dyer has a wonderful way of imparting wisdoms collected over many decades. A true guiding light for the modern seekers. An outstanding piece of work done by Anita who was given only hours to live. She went into a coma for three days with a ravaged body, only to come out of a coma with her entire body healed. 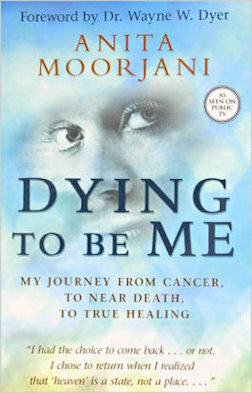 She had a near death experience and brought back astonishing wisdoms that resonate with truth and transparency. 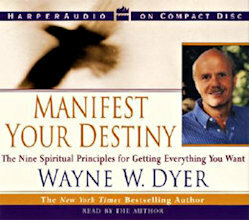 An excellent audio book availabe. 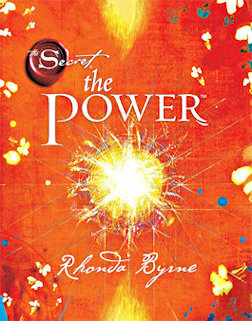 If you haven’t seen, read or heard The Secret by Rhonda Byrne then in my opinion you are losing out. It’s been around for ten years. Her latest offering ten years later is The Power. I highly recommend anybody who wants to brighten and sharpen their daily life experience. A modern, busy and troubled world can be challenging for everyone this is a very powerful piece of work and one has nothing to lose and everything to gain by giving it an airing. Truly inspirational. These works have been bestsellers for over two decades. Although complex are truly enlightening and inspiring. The old saying that ‘knowledge is power’ is completely based in fact. One has very little to lose and a great deal to gain by exploring experiences and knowledge of others that they have gleaned and transcribed into wisdoms and books for us to live and grown from. It may not be for everyone but I challenge everybody not to be impacted by the wisdoms that you receive. There is no doubt that there will be people who will say that it is a bit out there to say the least but I think if we keep an open mind there’s something to be gained by anyone who understands it. 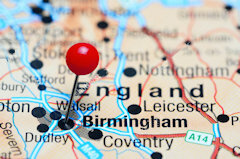 Have you visited our Midlands studio? 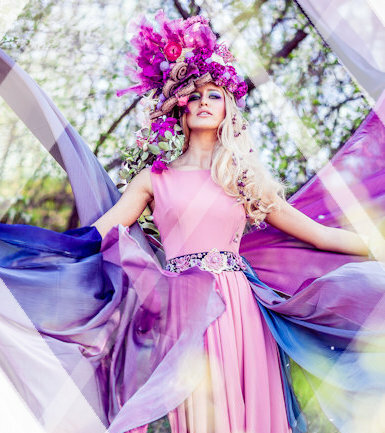 Located in Solihull, our latest studio is bursting with colour, charisma and charm. Managed by the wonderful Charlene, who relocated from our London studio after many years of training, and our studio supervisor Nico, you are sure to be given the red carpet treatment when you visit. The whole team are just fantastic all in skill and care and we would like to thank them all for their dedication and support in getting the studio ready. We look forward to welcoming you there soon! We always seem to have the joyous news to share of one of our angels giving birth to another and since we last spoke both long standing members of the team Ewa (studio manager) and Rachel (colourist) have both given birth to beautiful baby boys!!!! We couldn’t be happier and we look forward to hugs when they are in the studio next! Congratulations! More good news comes to our styling team with a well deserved promotion for Amanda! Amanda is the newest member of the management team in London sporting the new title of Assistant Stylist Manager! We are overjoyed to have such a talented, enthusiastic and capable woman heading the team alongside Candra! Well done Amanda! As the team grows and changes new faces appear bringing with them fresh and fantastic ideas and energies. This is certainly the case for our new fabulous colourists Adeelah and Niamh and stylists Filip and Marcia. They are on hand to ensure all your colour /styling needs and queries are resolved and met. Be sure to say hello next time you’re in the studio. 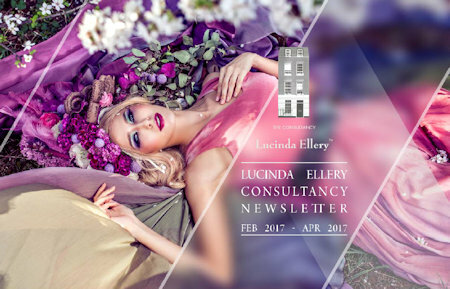 Welcome Adeela , Niamh, Filip and Marcia to the Lucinda Ellery family!